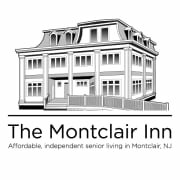 The Board of Trustees at The Montclair Inn is looking to expand! We currently have 8 board members and we are looking for more volunteers with specific areas of expertise. Most importantly, we are looking for individuals who are interested in supporting our mission. We are a small non-profit in the heart of Montclair, NJ that provides affordable housing for seniors ages 55+. 1. A person (s) with a passion for fundraising who would work along with our Executive Director and plan our yearly major fundraiser and a few smaller events. 2. A person who has an interest in/passion for eldercare who would assist with keeping up with policies and trends in the eldercare industry. 3. A person who has a background in technology. to help our Executive Director with various online projects. Thank you for your interest in The Montclair Inn!